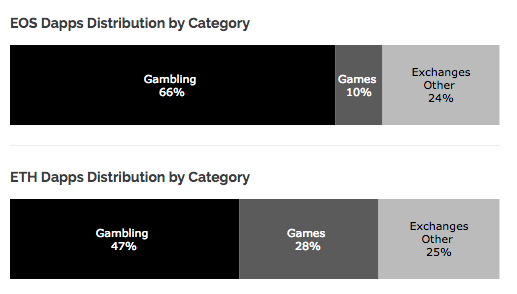 According to the latest issue from cryptocurrency newsletter Diar, there are large movements going on in the gambling dapps space. 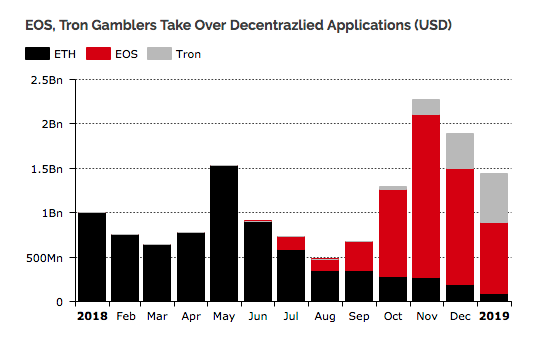 Betting and gambling dapps, which constitute the second category with most decentralized applications after games, have been migrating lately to the TRON and EOS blockchains, in detriment of Ethereum. 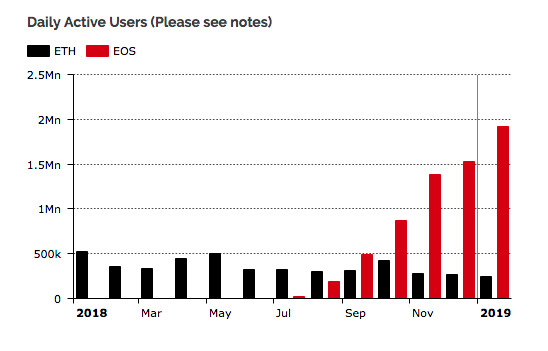 Recent data gathered in the Diar newsletter show how the number of active users in the dapps of the kind have been dwindling in the Ethereum blockchain since EOS started gaining traction in July 2018. It has to be taken into account that the chart footnote (mentioned in the title) reads as follows: Gambling is inherently high-volume trading. Data reflects total unique addresses used per day - not necessarily unique user total. Are EOS and TRON killing Ethereum?